Every day, a wealth of nutrition gets wasted when people empty their juicer-pulp into their bin (juicer pulp is the byproduct of freshly made fruit and veg juice and it looks like this). I discussed the benefits of pulp and why it’s amazing to bake with in a Protein Carrot Cake recipe post a few days ago. I continue to be amazed by pulp. I mean, the stuff is amazing! It ups the nutritional and fiber content of cakes, muffins, pancakes, cookies and crackers dramatically, all while lending this gorgeous texture to them (and providing you with a delicious fresh juice!) Great things can be found and made from waste. 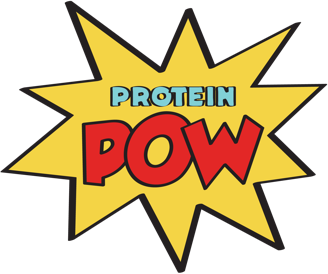 Did you know, for example, that protein powders too come from waste? I mean it in the sense that we get most of our protein powders from the waste created from the manufacturing other things. So, take whey protein powder: whey protein powder is made from whey which is a byproduct of cheese-making. Hemp protein is another great example in that it’s made out of the waste created from the production of hemp oil, seed, etc! It’s pretty cool, isn’t it? But OK, let’s get back to this recipe. I made this protein bread using the pulp that my juicer gathered from the carrot, zucchini (aka courgette), apple and ginger juice I made for myself post-workout. I ended up using one large courgette, two large carrots, one apple, and some ginger root for the juice; twas fantastic and I cannot recommend this juicer enough. It’s a life-changing machine, aaa! Blend everything together. The ensuing mix is absolutely delicious. I kind of thought for a second “I’ll leave it like this!” but then… well, I poured into a bread loaf and baked it at 160 C (320 F) until, when stabbed with a knife, the knife came out clean (about 35-40 minutes). The final loaf was flat, it didn’t really rise at all but that was to be expected since, as you’ll notice, no flour is involve and the ingredients are all quite dense. I ended up slicing it into 12 rectangular slices and, topped with a bit of organic grass-fed butter? MMMMM!!!!!! It’s amazing, I mean, besides the pulp, this bread is basically all protein! Because of the density of the pulp (as well as the pea protein powder), a perfectly moist texture is created rich in carrotness and vanilla power. Add then you get the cinnamon and: POW! What a delicious little loaf of goodness. One thing I was going to do but didn’t actually was to turn a few of these slices into French Toast – you know, dip them in egg and milk and fry them up. I think this would have been unbelievably tasty so give it a shot if you remember because topped with sugar-free maple syrup -> unnngh! PS – If you don’t have a juicer and want to make this anyways, grate the carrots, zucchini, apple, and ginger and squeeze them in a paper towel (with all that strength you work for at the gym). Then, instead of blending your fruit and veg into the the batter, just whisk it in. You want to whisk instead of blend because your grated (and subsequently strangled) fruit and veg will hold more moisture than my juicer pulp and you don’t want all that extra moisture to turn the batter into a juicy mush. Your bread will be slightly different from this one – it’ll have more of a texture and be less bready and more carrot-cakey but that’s fine, it’ll still be delicious.